Malta and corporate taxes, despite being one of the European states and using the single currency, it has often been falsely considered a tax haven like Panama, not thinking that the latter State has a taxation and a corporate management very similar to that of Delaware (USA). It is also necessary to dispel the myth of being able to pay "only" the 5% of company taxes in Malta, as it is not correct to give this incomplete information to those who wish to work seriously in this State which is also like an oasis in the desert for its historical beauties, the climate and the tranquility that a geo-politically stable and democratic government has managed to give to those who live in this place. 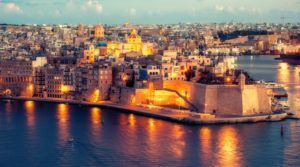 Corporate planning is important for the entrepreneur who intends to internationalize his own company, even establishing it in Malta, optimizing an often heavy tax burden in other European states and obtaining benefits often recognized only to Ltd (Limited company) like the British ones. The diversity of company law can sometimes cause concern, since the opening of a company in a foreign state is already a trauma and is almost always full of questions, the answers to which will be obtained only with time or with the help of a consulting company that will avoid any inadvertent errors. For the entrepreneur who decides to open a company in Malta, we can say that these entities enjoy the same corporate law as the English one, in fact this State has inherited the best things from Great Britain, allowing the creation of exceptional business and banking relationships and privileged states in comparison with other states. In compliance with the law, the manager will be able to obtain advantages in new markets with the opening of his company, obtaining reduced company costs, simple and understandable regulations and above all a friendly tax state that will help him in relations with foreign subjects at the time where the need arises. The corporate taxes of Malta are not very high also in relation to the excellent services that are provided, settling at an 35% on the taxable amount and a local VAT that does not exceed 18%. But you don't have to be a finance genius to figure out what the taxes are in Britain are facilitated at 19% and this should make us understand that, after opening a company in Malta, we can very well open another in England which will in turn become the largest shareholder, therefore, based on the Tax Refund on income, once carried out the allocation of corporate profits and paid royalties as well as having monthly turned over the quota for the works carried out by the British company, or for the brand held by the latter and given in the form of sharing by contracting it, our Maltese taxation will be lowered considerably and thanks to the tax refund, the British company will be able to ask the Maltese State for the 30% tax paid on its dividends, bringing the taxation on its share to 5% on the taxable amount left over from corporate expenses. Stopping is the point that in Britain the tax on the company's revenues will have to be paid to 19% but this is another story. The fact of paying 5% of taxes on profits accrued by a member also applies when that person has no residence in Malta and in fact he will also be entitled to the return of 30% but will have to comply with the payment of taxes in his own State belonging to the Capital Gain obtained (the 26% on the declared for those who are Italian); this situation cannot be applied to a Maltese resident or Maltese citizen who will have to pay taxes for the full amount, but this is another story. The SHADOIT BUSINESS CONSULTANCY LTD, thanks to the great experience and professionalism of its consultants, supports and builds together with the potential entrepreneurs perfectly legal situations suitable to obtain cost savings without having to resort to financial tricks that could generate controversial fiscal situations but using and using systems efficient banking, planning and studying low management costs, optimizing the work of companies, providing expert personnel who assist the manager, assisting the company with the enormous IT and financial experience, advising situations where labor costs are low compared to to that of the State of origin. The companies registered or administered by foreign persons to the State in which the company is registered can not be considered international but rather, by some States, are considered belonging to the nationality of the Shareholder or the Director (Director) and therefore subject to taxation of that State regardless of whether the staff or offices are actually located in the registration country, highlighting the obvious overshoot. It is a situation that often puts in contrast various laws of various States where there is a treaty of tax reciprocity and that very often obliges us to intervene with the legal offices in order to demonstrate that they did not want to tax the tax or have used a means to pay less taxes. The law does not prevent a citizen of a State from being able to hold prestigious positions or establish foreign companies, provided he can demonstrate the non-intention in the tax avoidance of his country often dictated by the lack of employment or the failure of his company , with the firm will in wanting to start again in different ways and in places where the business feels more free of laces and laces imposed by its own government. Often, for the registration of companies LTD, the use of nominee and that is to say replacement characters belonging to the State of registration of the company, which can certainly put a stop to all the tax disputes that could arise, but the central problem remains the fact of entrusting and registering their company in the name of perfect strangers, who, if administrators will carry out a power of attorney and if shareholders will hold a trust agreement allowing us to manage our business with the utmost freedom but paying obviously a surcharge on the cost of registration of the company. The best solution that has always been recommended is the obtaining of a real foreign residence and the registration to the AIRE or other office in charge of tax transfer and the declaration of effective foreign residence, awaiting the new citizenship from which it will be possible to decide whether renounce the initial membership or keep them both provided you have to overcome the 180 days outside your country and the actual separation from the stocks of belonging (the taxman is attached to everything so as not to give up on taxes). The transfer to other countries is therefore in itself the best solution that demonstrates the real will in the separation from the country of birth in order to work in the country of new residence to which personal taxes will be due and those of the company will be paid to the State of registration without any problem. Overstation is often also dictated by the location of the company website, where for many consultants the country where it is registered and by whom it is registered is not important, but for the tax office it is already an opportunity to consider the foreign-dressed and stable organization thus attributing it to 100% as a recognized company belonging to its own state. It is therefore advisable to be careful and remember to register the website with the maintainer and provider of the company's registration state or members of a different nationality from that of personal belonging, trying as far as possible to use multi-language and never the only language of belonging original in order to avoid in advance a definitive point in the overshoot. It is important to keep in mind the difference that exists between a legal residence and a tax residence for a company. The company, for example, may be registered in Spain but operate with its headquarters in Great Britain in London, where all contracts and invoices will be issued in the latter place for business reasons; this will determine that the registered office of the company is in Spain but for the tax residence, the taxes will have to be paid in Great Britain thanks to the double taxation treaties that often some States try to evade by having a very aggressive taxation. The loss of personal tax residence in compliance with the law and without risking disputes with the tax authorities of the country to which they belong does not consist in moving their residence to another state with more advantageous taxation, but in putting the right requirements for real emigration can not be absolutely challenged (they will try the same). First of all, you have to be able to demonstrate to the State of destination, to be economically self-sufficient, to obtain a tax allocation number, to have a real and not convenient rent contract as we will be subject to police control, open a bank account and enroll in AIRE, live abroad with your family for more than 180 days and pay taxes in the State of new domicile and residence. This will allow us not to see your own esterovestizione company branded, to pay taxes ONLY in the country in which we have actually moved and to interrupt any relationship with the tax authorities of the State of departure, jokingly it is said that it is easier to divorce from one's wife that from the tax authorities. Even the mere fact of having moved on your own and having left your family (wife and any children) in the country of birth, can give rise to legal disputes with the tax office to which we were bound, because they will also examine the emotional bond that it might seem like a trick to evade taxes and not a reason to start and start life in another place. The Italian Government with its irreducible attitudes, not trying to rethink in any way the change of the financial maneuver, but making only very small adjustments to allow the maintenance of beautiful electoral promises for a people so harsh that they arrived at 5.000.000 (five million) of people on the threshold of poverty, where they should have state finances in order and not a frightening public debt, are coming to a fight with the European Union. Everything starts from anti-Europeanist thoughts of the two majority parties that before the elections praised the return to the Lira as the solution to all the ills of Italy, not saying that it would only be worth 70% of a Euro due to the immediate devaluation (70 cents for 1 Euro) and that the debts should however repay them not in the former new sovereign currency but in the current currency (Euro). 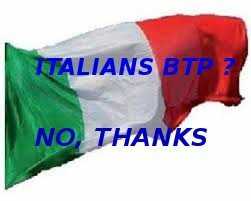 Italianism and the return to the claim of respect from other countries is commendable and even some of us of SHADOIT BUSINESS CONSULTANCY LTD who are Italians would like the good of their country because they love it and every day they feel disappointment and indignation for what is happening , but we are not professionally, absolutely agree with these anti economic and financially dangerous systems, which will lead to a sure recession after a first financial rebound and probably even more poverty with the possible advent of the Troika that economically destroyed Greece. Let's start by saying that after the approval of the bail-in bank account holders are required to participate with their savings to reorganize the bank in the event of bankruptcy or probable bankruptcy and that this is already a profound risk for those holding capital on current accounts without having diversified its investments. Why Italians are afraid of the economic crisis? The affirmations of a party shareholder of the Italian government, those always praised by the previous governments on the solidity of the country thanks to the education of Italians inclined to bank savings, have sparked the eyes of other Euro-Group countries that despite having finances in order or almost in order, do not enjoy the economic wealth of Italy and correctly, Germany in the lead, have already aired the possibility of lowering the Italian public debt with the economic aid of Italian citizens by means of an equal levy to 20% on all bank accounts, bringing Italians to act to protect bank savings and assets. Useless the move of Italian banks that are proposing the exchange in another currency, because even if doing this operation, in case of a forced withdrawal could not but comply with the government directive and in the meantime have immediately capitalized and earned on the exchange made. 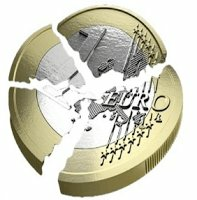 In case of return to the Lira and forced withdrawal to avoid the European Troika, not only the savings but also the salaries of the state and the pensions that are part of the Italian public finances will be affected, but they all look at it from saying it ; a founding state of the European Union would be brought to its knees. The fact is that some pseudo economists say that the purchase of Italian government bonds and Italian bonds are a safe and guaranteed investment does not correspond to reality, as in the event of a serious crisis and return to the Lira, they would be immediately renamed in the ex- new currency with an unimaginable financial loss in the worst case: "The default". Discourse would be different for Italian shares, where they would most likely find an appreciation on the stock exchange to offset the devaluation in the first period of rebound, but the loss in value of the new currency would be significantly higher, always remembering that this would not be the case for bank shares the banks with billions of Italian bonds and very high loss of capital would be at risk of failure and it is therefore clear what would happen to Italy if it decided to leave the European Union. How can we protect savings and therefore capital? It is not very complicated to understand that we need to diversify on more investments and shift our savings on different banks, both in the Eurozone and outside the European Union, but in geo-politically reliable and secure countries and especially with banks that have agencies present. at least in the UK where it is important protect bank savings and assets. The advice that many operators are giving, is to open online accounts and move their capital, but this does not correspond to good advice, as many e-banks have proved unreliable over time because they do not have a banking license and therefore with a serious risk for guaranteed capital, especially in this difficult period for European financial economies. Needless to reiterate the concept of NON-EVASION, as it is sufficient to declare its current account that MAI may still be the subject of assets if opened in a foreign state and pay VATFE and 2 × 1000 on the average annual stock to the Italian State, then a ridiculous amount also protected by the European Central Bank with very stringent and secure rules that help protect bank savings. It is normal to think of buying securities from other countries that are financially sound and safe as a safe haven, directly on foreign exchanges and thanks to accredited stockbrokers and is an operation that many Italian banks have already started to do in total silence, to ensure its shareholders. The Italian government has denied having started talking about returning to the Lira, playing on the fact that people, with the daily problems of work, family and financial, have forgotten that the two parties that compose it, up to a few months before elections, proposed the exit from the Euro and tried to put the Ministry of Economy and Finance, a strong euro-skeptic who spoke of "black swan" and proposed the path of economic sovereignism: "Prof. Paolo Savona", an illustrious Italian academic and an expert in world finance. If a person is unfamiliar with the markets, he must rely on expert brokers who are regularly registered, as the danger of ending up in the hands of fraudsters or speculators, in this period is very high, especially if they are non-independent operators related to banks and that they try to entice on bank stocks of Institutes currently considered safe (a classic example of failed Italian banks and the total loss of investor savings) putting at risk the protection of bank savings. 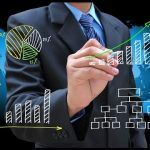 The advice of the financial advisors of SHADOIT BUSINESS CONSULTANCY LTD is to rely on brokers belonging to independent foreign companies or independent brokers not related to the Italian territory to always have the maximum of their objectivity for the financial economic evaluations that will be brought to give. But the possibilities to protect our assets and capital do not end with the resources protected in the belly of the banks, as it is convenient to set up foreign companies, have a passport for all their family members, establish trusts and transfer assets to their companies as a trust fund or part of the share capital, to make sure that they become untouchable in case of economic disaster of the Italian State. Or you can resort to tools like the fiduciary mandate, a very interesting tool from the juridical point of view, through which, while remaining at the head of the most complete ownership of the asset, the administration of the asset is attributed to the mandator company to realize a stakeholder interest, thus securing confidentiality and administration of goods but with costs for financial advice and for those who administer the asset or capital to protect bank savings and assets. There are also other instruments of fundamental importance, such as foundations of law and private interest that, thanks to our partners, can be useful to ensure the proper management of its real estate assets with the possibility of Trust. Therefore, it is useless to think about investing on the good old brick, because with the percentage loss on the purchase value of the investment that has now been at 23%, with the risk of a property that would further reduce its value and with a hypothetical risk of Italy's default, it can no longer be considered a good investment to protect bank savings and assets. The maneuver of the Italian Government has not tried in any way to loosen the grip of the markets and exposing Italy to the risk Troika, just as happened in the past for Greece and as moreover, was avoided by the Italian Government to guide the much criticized Minister Monti . Italy at risk default, with an economic financial maneuver that increases the public debt up to 2,4%, in contrast to the expected 1,6%, is going against all the advice that had been given by the European Union, especially by the President of the ECB that being an Italian, even if super partes, had always tried to meet the needs of the various Italian Governments that have followed one another in the last ten years. The deputy acting premier of the Ministry of Labor and the Ministry of Economic Development celebrated that the financial markets would understand the importance of the choice, without thinking that Italy is not making more debt to guarantee more jobs and therefore develop and give energetic sprint to industrial production and facilitate new business, but is simply ensuring welfare, a pre-announced patrimonial even at the expense of those who work, with something that defines "income of citizenship" and leading Italy to default risk. The ghost of the Troika that does not frighten the foolish but that made the Greeks cry, is a sad premonition for the Bel Paese that with its impromptu administration, is putting at risk the lives of all Italian citizens. It 's easy and it would be nice to live on a sofa, go out when you want, do not work but, life has taught everyone, or it should have done, that only with the work you can achieve important goals and lasting over time, only with production can increase the GDP that the international markets so much like and therefore facilitate the sales of government bonds from which proceeds are financed the salaries of the Italian Public Administration. The economic maneuvers against the trend, the European Union would also accept them as it did in the past for other Member States, but it is obvious that they should be oriented to investments for serious growth and not for the very high electoral tips necessary to appease their fellow citizens for allow the realization of a "Book of Dreams" realized during the various electoral campaigns. The lowering of the tax wedge to companies, a sort of pseudo "flat tax" that for the Italian constitutional order must necessarily be with increasing rates but that if lowered as the part of the constituent government would have wanted the party of the other Vice Premier Salvini, would certainly have encouraged companies by giving them the necessary oxygen to restart and recover the shares of the international market lost during the over 10 years of recession we have witnessed. A deficit made to allow new start ups and new companies in southern Italy to give employment and not to dismantle it as it was in the thoughts of the majority party to the Government with the ILVA affair, would certainly have been well liked financial markets. These are investments and not the assistance that they would like us to assist that also call investments; we think that the majority party does not have the slightest idea of ​​what the real investments are, those that have to bear in time, those that in the long run make you earn money and do not lose them, those that allow the economic growth of a company, of a family, of a state trying to avoid bringing theItaly at risk default. The busy Italians, but also those who seek it, who care about the good of their country, hope that the last bulwark of wisdom and that is the President of the Italian Republic, intervening by opening the document of Economics and Finance (DEF) even earlier that the European Union does that would expose Italy to default risk. As we often have heard, the BrExit from the United Kingdom it has been evaluated and in any case is administered and managed, trying to guarantee the exit of Great Britain in the least painful way, avoiding the "No DEAL"Which would also be disastrous for the economy of England. An economic maneuver like that demanded by the Italian majority party is discouraging for the markets, already we see the tangible signs of one Spread that goes up and of the fibrillation scholarships that sell, where they collapse, we would witness the closure of many banks, the economic loss of the current accounts of Italians who should ultimately guarantee the huge burden of public debt, the closure of companies and related layoffs that would result, the Troika that would try to save the country to avoid the contagion of other European markets and the exit of Italy from the European Union not by its will, but by the will of the other Member States bringing Italy to risk almost safe default . That France has decided to increase its public debt in the face of a considerable economic financial debt, was the excuse to generate this document of Economics and Finance disastrous, not taking into account that France has a GDP that flies almost as much as the German and that Italy over time has become the bottom of the European tail, something hidden by many newspapers but floated by prestigious economists. 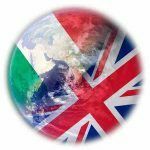 Italy has been for many years, since the post-war period, the seventh economic power in the world but, to date, it becomes difficult to invest in the actions of this country with the purchase of its government bonds. I current accounts in Italian banks they have become a high risk and it is no coincidence that the Government of Minister Monti imposed the opening of current accounts to all holders of VAT and extending them to all those who wanted to get paid for a job; insurance was assured on Italy at default risk. It is only a matter of time and common sense that we all wish to prevail at the last moment. Opening a company in London, involves a whole series of important and relevant news that makes it impossible for them to fail to argue. 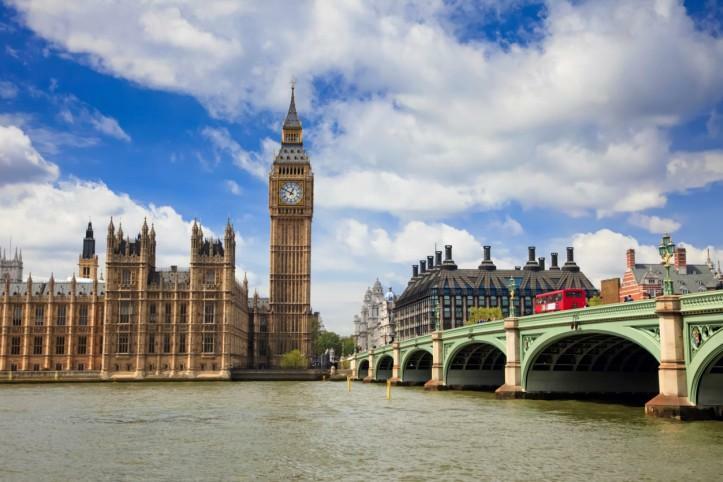 This is a brief statement but, for transparency and seriousness, we believe it is necessary for those who are really interested in relocating or starting their business in the UK, having as much information as possible that will let him know what he is expecting. If you already have a small-medium business, you can have significant tax savings if you move part of your business to another country; there is no need to be a multinational corporation to deal with international trade. Many think it is complicated to be able to save on income taxation with the conviction of violating laws, but if things are done in the right way, there are no violations for EU countries and the laws that make up and open a company Ltd. in London is often the best solution. If for example the owner of an Italian company generates a turnover for 6 millions of euro and the 70 per cent of the trade is generated by Italian customers and the 30 per cent by customers in other European countries having about forty employees all working at the Italian plant the Italian tax pressure being about the 56 percent will lead to a profit of no more than 400.000 Euro from sales made outside the border against a profit there about 600.000 Euro, having shifted the share of international business to the UK, where the tax burden is not higher than 21 per cent. Here in simplistic and rounded figures, the savings that can be achieved by delocalisation of part of their business in the UK and the opening of a company in London, also bearing in mind that if the owner of the establishment were willing to move to Britain, a further facilitation even on personal income defined as "no dome". Let's imagine setting up a real office with employees abroad, relocating administration and expanding your business by getting a favorable business climate both in terms of taxation and worldwide recognition as London companies enjoy meritorious fame for seriousness and entrepreneurial competence with good infrastructure and easy reachability. SHADOIT BUSINESS CONSULTANCY Ltd, knowing the concerns and needs of entrepreneurs, is in charge of helping international clients to open a business in the United Kingdom, providing numerous "packages", made to reach advantageous solutions and proposing the best solutions in terms of tax efficiency to also guarantee a solution for protect bank savings and assets. 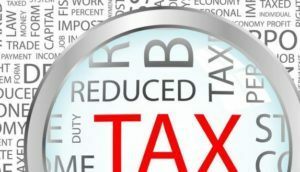 The tremendous difference in simplification in the United Kingdom with other European countries allows us to see fair and interesting taxation for those who intend to develop their business honestly and to profit from it without being pressured by laws and tax police states, they will surely bring a huge benefit to the entrepreneur who intends to invest and produce in complete freedom solely on his own business and leads us to open a company in London. The pressing bureaucracy in other European countries is leading to a generalized recession by increasing production and sales costs while lowering entrepreneurs' profits at the same time, leaving them to abandon their country of origin in order not to end their business. 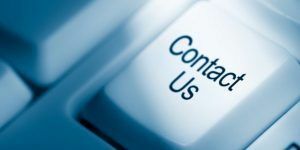 Our consultants are at your disposal, if you are seriously concerned, do not think about us and contact us. "Serious and transparent service in your relationship. Prices are adapted to the services provided. " "Professional and efficient. Our goals have been met. " "Professional and accurate. They have been able to address us and advise on what was best for our needs. " "In the financial sector, they are competent people and offer a very satisfactory service."